For 20 years, our practice has been dedicated to the vision needs of the Jackson, Missouri community. At Bell Family Eyecare, we want to give you the best, most complete eye care management available. I am a graduate of Indiana University-School of Optometry and have been in practice for over 20 years. I am therapeutically licensed to diagnose and treat various ocular diseases. Dr. Bell will review your medical history and evaluate your eye health. He will explain to you whether or not you will require any treatment and will answer any questions you might have. We accept Visa, Mastercard, and Discover credit cards as well as personal checks. We accept many major optical insurance plans including VSP and EyeMed. At our Jackson, Missouri practice, you will find a compassionate and experienced team that is dedicated to providing a full spectrum of high-quality personalized eye care for the whole family. We utilize the latest technology to offer the best service possible. Our Optometrists have decades of experience treating patients. They were very patience and understanding and I had a great team that helped me with the best fit for my face and my pocket! Dr Bell is one of the best!! 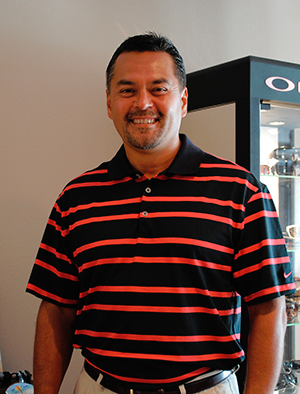 He and his staff are friendly and helpful with all your eye care needs!! Very friendly and very professional! Did a wonderful job with my two-year-old as well! Would definitely recommend to anyone! Every one is So Kind and the Doctor is excellent ! © optometry website design All Rights Reserved.